We specialize in creating digital collections of high quality books and plans for the collector and builder alike. Buying our classics on CD-rom makes sense for their compactness, easy of use, sharp details and value for your money. By collecting, scanning and re-publishing the best in vintage Do-It-Yourself titles and plans from the past we can provide fascinating books, techniques and knowledge that may have just faded into obscurity forever if not preserved digitally. By scouring government archives for the unique and rarest of military films/videos, our goal is to provide low-cost, but high quality copies of films and training materials that others have missed or overlooked. Our Hybrid titles have added features; like iPod/iPhone formatted versions of the films for mobile device viewing, and on disc PDFs of relevant Field Guide/Technical manuals. 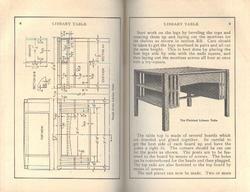 Stickley's Craftsman Furniture Plans - From The Craftsman magazine, by Gustav Stickley, 1903-1907. Over 60 plans and illustrations of Mission-style furniture projects from The Craftsman magazine. Metal Spinning Anthology - an overview collection of rare out-of-print texts on Metal spinning tips / techniques. 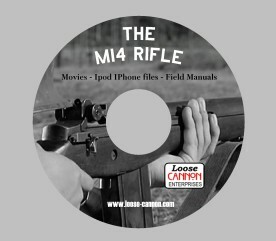 Our E-Books, the PDFs within, DVD collections and photos/Item descriptions Copyright © 2002-2013 Loose Cannon Enterprises. All trademarks are the property of their respective holders. Our products are only available direct. Copies or other methods of duplication are strictly prohibited unless authorized in writing.